These Ace Baseball t-shirts have Baseball Word Art screened on the back and the left chest. 100% cotton. 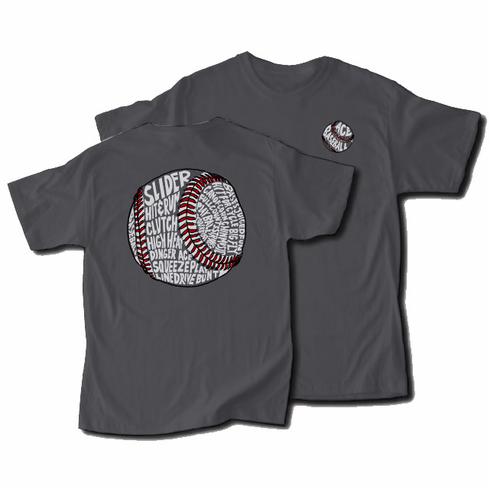 This brand new t-shirt is sure to be the most popular shirt at the ballpark this year! Youth sizes run a little small.